At our family-oriented dental practice, our pediatric dentist is here to provide gentle and accommodating care tailored to your child’s smile. At Total Family Dentistry, our focus is to provide comfortable, comprehensive services for patients of every age, ensuring you and your family achieve healthy, dazzling smiles. Pediatric dentistry is solely focused on the development of a child’s smile from infancy through their teen years. As a general, family dental practice, we understand the importance of a child’s first dentist and the impact it has on their continued experiences with dental care. Our pediatric dental specialist, Dr. Rapisura, is committed to continued education and training in the healthy development of children’s smiles. With her expertise, our pediatric dentist provides our young patients with a comfortable, safe environment that puts them at ease when receiving importance dental treatments. There are various treatments tailored specifically to keep developing smiles healthy. Our goal is to prepare our young patients to keep their smiles clean and strong through patient education and emphasizing the importance of routine brushing and flossing. We implement care methods to treat current problems and before they further. Our pediatric dentists and our kid-friendly team focus on the treatments that help build healthy smiles. We emphasize on oral health education, with the importance of daily oral health habits such as eating a balanced diet and flossing and brushing teeth twice daily. Preventive care is implemented in order to minimize issues that may lead to bite alignment problems or tooth decay. This done with routine checkups and dental cleanings where we can apply dental sealants and address thumb-sucking habits. We develop a one-on-one relationship with you and your child, by thoroughly answering any questions and providing patient, kindhearted care. Parents who are active in educating their children about the importance of the dentist and oral health can ensure continued health for the whole family between dental appointments and at home. Schedule Your Child’s First Visit Today! At Total Family Dental Group, Dr. Rapisura and the rest of our team are committed to providing quality dental care for you and your family. 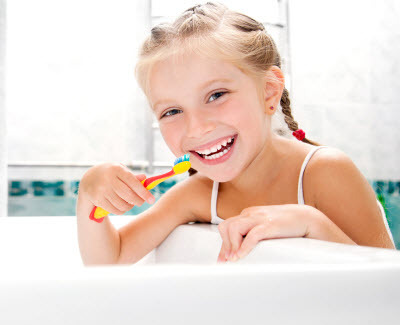 For more information about our pediatric dental services, contact our dental practice today.